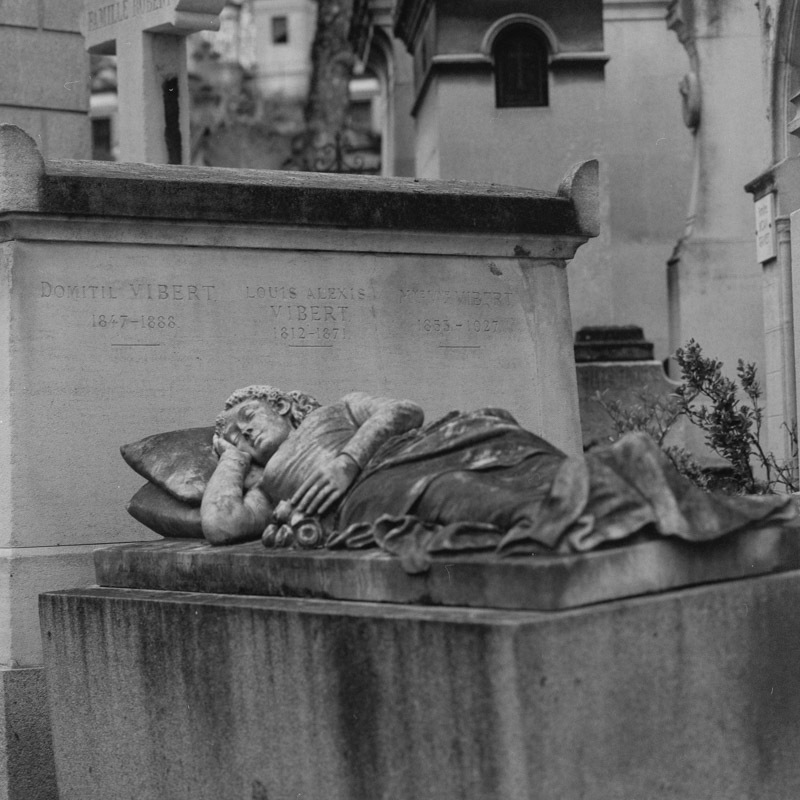 Recently I returned from a trip to Paris and was able to spend a while wandering around Père Lachaise Cemetery. 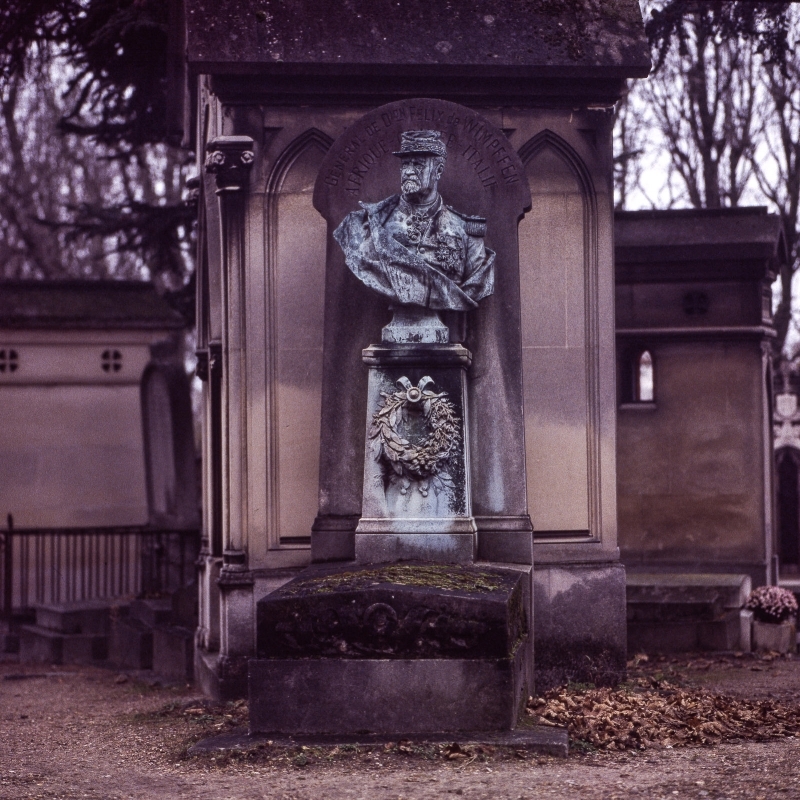 Covering over 100 acres and one million internments since its inception, it is the largest cemetery within central Paris. I had hoped to spend the entire day wandering, but unfortunately rain forced me to leave early. Digital images are also available to preview. Hasselblad 500CM, 150mm Sonnar F/4, Kodak Tri-X 400 B&W film was used for all the black and white images. Hasselblad 500CM, 150mm Sonnar F/4, Kodak Ektachrome E100SW was used for all the colour images. I edited this image to a 8x10 as I was unable create a proper composition with the pillar in full showing.